Toyota Motor Corp. has delayed the Japan launch of its new wagon-style Prius in the wake of the parts shortage triggered by this month's earthquake. The company had planned to start selling the car in Japan by the end of April. But that date has been pushed back, spokeswoman Mieko Iwasaki said. She was unable to say when the new launch date would be. But the setback isn't expected to affect the car's arrival in the United States and Europe later this year, Iwasaki said. 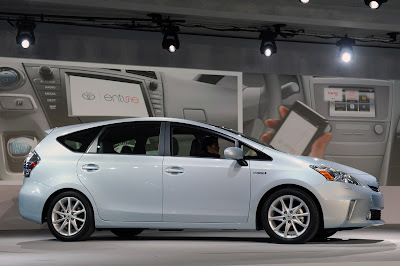 The delay makes the Prius wagon among the first new model launches to be thrown off track by the March 11 earthquake. Toyota cited the company's production shutdown, disarray in Japan's automotive supply chain and damage to its local dealer networks as reasons for the move. Toyota is planning two versions of the Prius wagon: A two-row five seater for the United States and a three-row seven seater for Europe. Japan is expected to get both variants. Toyota has shut down all 18 domestic assembly plants through at least March 26. Many parts makers are still struggling to come back online after being damaged in the quake or are having trouble delivering parts due to transportation snarls. Among the damaged plants is a key factory supplying batteries for Toyota hybrid vehicles, including the Prius. The plant, operated by Primearth EV Energy Co. in quake-stricken Miyagi prefecture, can supply enough nickel-metal hydride battery packs for 300,000 cars a year. 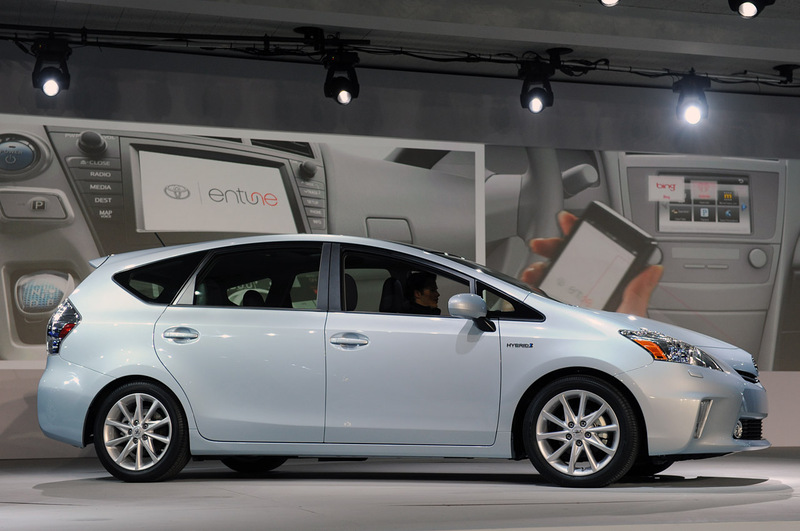 That accounts for about 27 percent of Toyota's battery capacity. Primearth, a joint venture between Toyota and Panasonic, has two plants in central Japan that supply additional batteries. Those plants, located in Shizuoka prefecture between Tokyo and Nagoya, are operating.